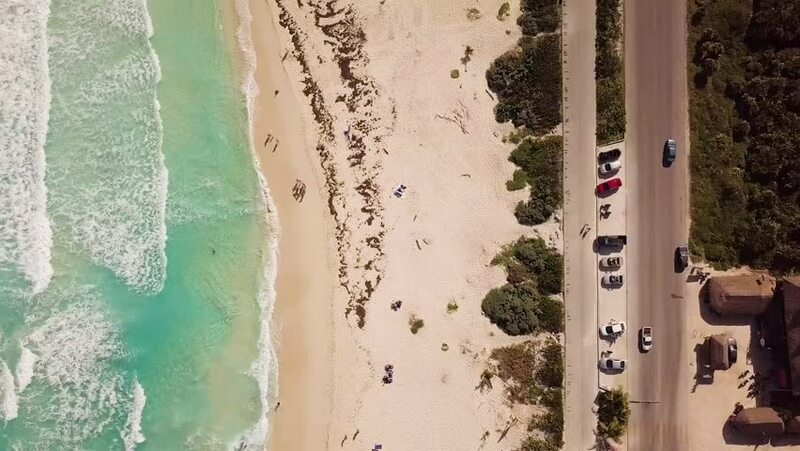 Top down aerial view of a beach in Cozumel Mexico. Flying from bottom to top, the beach, crashing waves, and a highway can be seen. hd00:16Slicing cake on pastries. Food production.